The big news this week is that Bitcoin ($BTC) has broken and held above the $6750 level. But Bitcoin bulls shouldn’t get too complacent. A period of consolidation after penetrating an important resistance level is normal, and allows the stock or crypto-currency to absorb their recent gains. But Bitcoin has a lot to prove if it is going to stimulate new buying. A prolonged period of consolidation will work in favor of the bear case scenario. 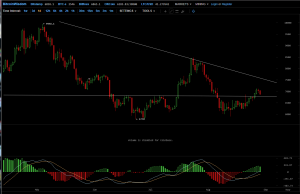 Bitcoin has to continue its upside momentum and ultimately break through the downtrend line delineated by the March-May-July highs, currently in the $7373 area. 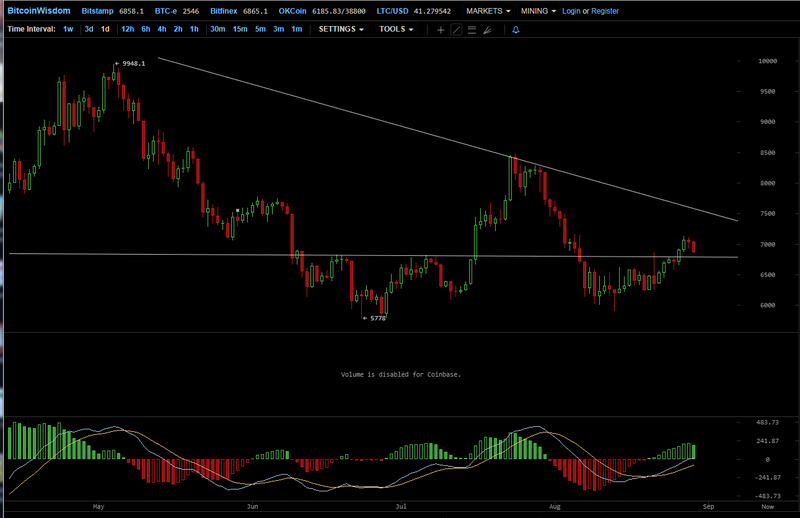 A break through this triangle resistance line could be what is needed to reinvigorate interest in the crypto-currency.